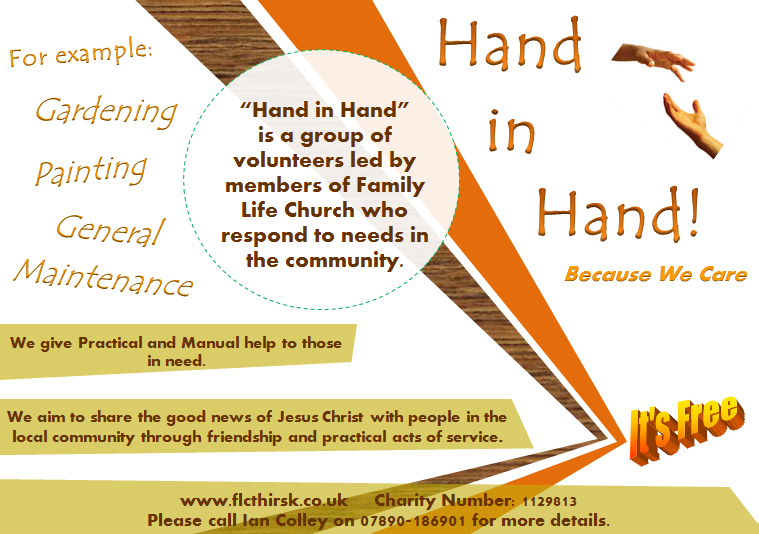 This is a new ministry in the church, led by Ian Colley, with the aim to help needy people in the community with neighbourly jobs. Whether it be helping with a bit of gardening, some maintenance work or fitting a light bulb, this team aims to be a helping hand to those who have no one else. If you know anyone that would benefit from this service please call Ian Colley.